The advantages of using composted matter on crops can never be overstated. We have been composting our plants, culled vegetables and yard debris for the past couple of months. To start of we just grabbed a basic composting box from Lowe’s and set it up in a matter of minutes. We make sure not to compost meats, pet droppings or anything treated with pesticides and/or herbicides. If you decide to add weeds to your pile make sure that you get the pile good and hot to insure that the seeds have been killed off. One problem we have with the box we purchased is that it is cumbersome to rotate the pile – which you should do often. Making sure that the temperature gets between 120-150 degrees F.
Getting the optimal balance has been tricky at best – with us using it primarily for our spent garden plants we have neglected to add a good mix of leaves, straw, and hay. 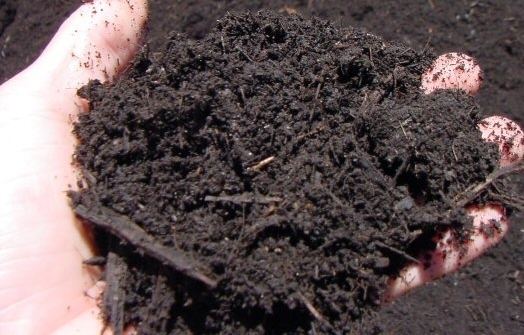 These materials are a great source of energy for the composting microbes. With autumn approaching the falling leaves would make a great addition to the pile – shredding them off-course to allow for optimal air flow. Another option we might look into would be to setup a worm compost bin for food scraps that we have left behind. Just need to make a container filled with a moistened bedding of leaves, a handful of soil and of course the worms. ← Is The Planting Session Over??? ?